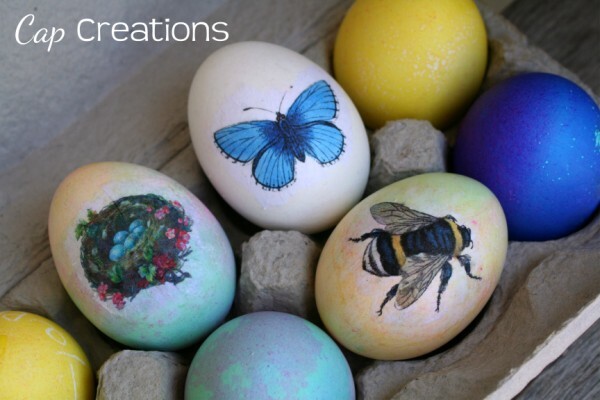 Cap Creations: (CLOSED) Adoption auction! Spread the word win a prize! (CLOSED) Adoption auction! Spread the word win a prize! 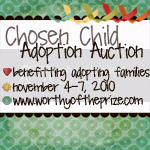 On Nov. 4-7, 2010, Worthy of the Prize will be hosting an auction to benefit adopting families. This would be a great way to do some Christmas shopping. You'll get some gifts for loved ones and at the same time help out some families that are trying to bring their children home! Which is the greater gift??? Mark your calendar and be there! You may want to follow them so you don't miss it. Also if you have an item that you'd like to donate to this auction please contact Worthy of the prize at worthyoftheprize@yahoo.com or find more info HERE. Lastly, your help is needed to spread the word about this great auction. So PLEASE blog about it and post the smaller button (below) on your sidebar. It may be worth your while! Blog about the auction going on at Worthy of the Prize on Nov. 4-7 using the larger button below. And since you're posting about it why not post about this giveaway too with a link back here? It is about spreading the word after all! Then come back here and leave a comment saying you did. Post the smaller button below on your blog sidebar, then come back here and leave a comment saying you did. That's 2 chances to enter! Please leave links so we can check them out and an email if not in your profile in case you win! Button for your blog post. Here is a smaller button for your blog sidebar! Thanks for helping promote!! Good luck! Winner will be announced Nov 3rd! Such a wonderful event! I'll definitely be checking it out! 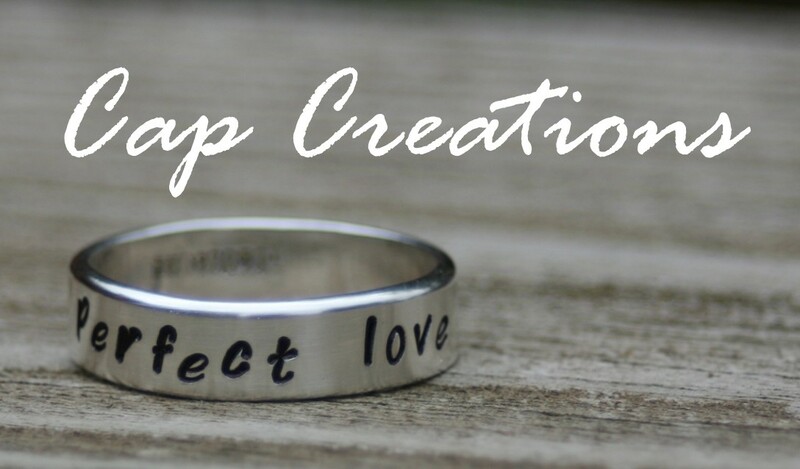 I've added the button to my sidebar, but no need to add me into the giveaway since I'm already going to be a lucky winner with one of your lovely pieces, but I want to be sure to spread the word about this one! I'm more than happy to put the button on my sidebar! I also added the sidebar button.. I blogged about it! 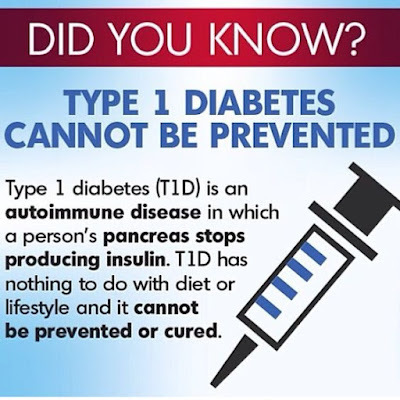 Thank you for helping to spread the word about this! Those of us who will benefit DEFINITELY appreciate it! I am not sure that I can enter, since I am one of the families! But I of course I put the button on my blog! And, you'll see the button on my side bar. Yay! I finally blogged about it - I feel like I've been "out of the blog world" for a bit :) But I'm SO excited about the action! I did the side bar link too!! I added the button on my blog as well. i have blogged about this event! Thank you soooo much for helping with such a wonderful auction for such a great cause! I am one of the families that this auction is helping! You are helping us bring our daughter home and make her one less orphan of the 145 million around the world! Thank you everyone for your support and prayers for all of the adoptive families! I just blogged about your event. Hope you get tons of traffic!